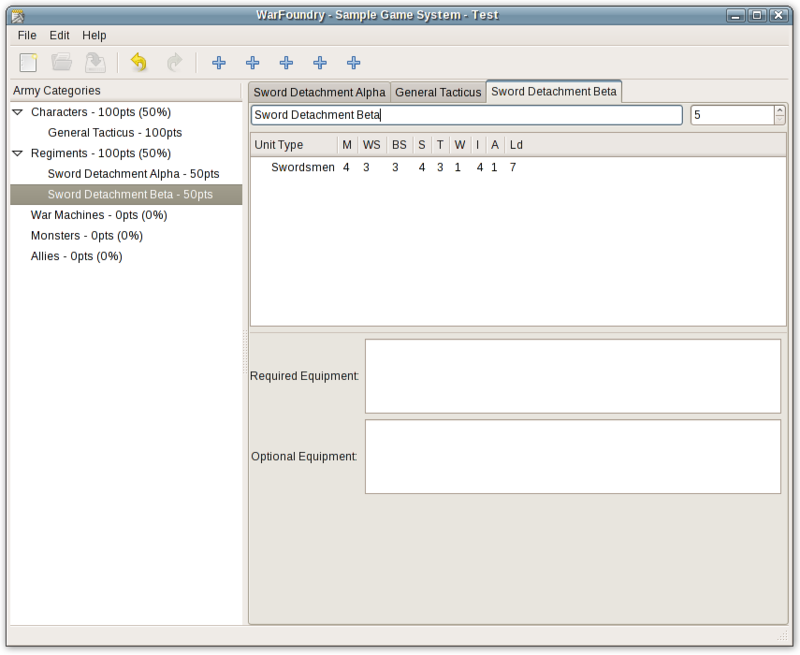 SWF is the standard Microsoft Windows toolkit and as such it start out as the default when designing the application. 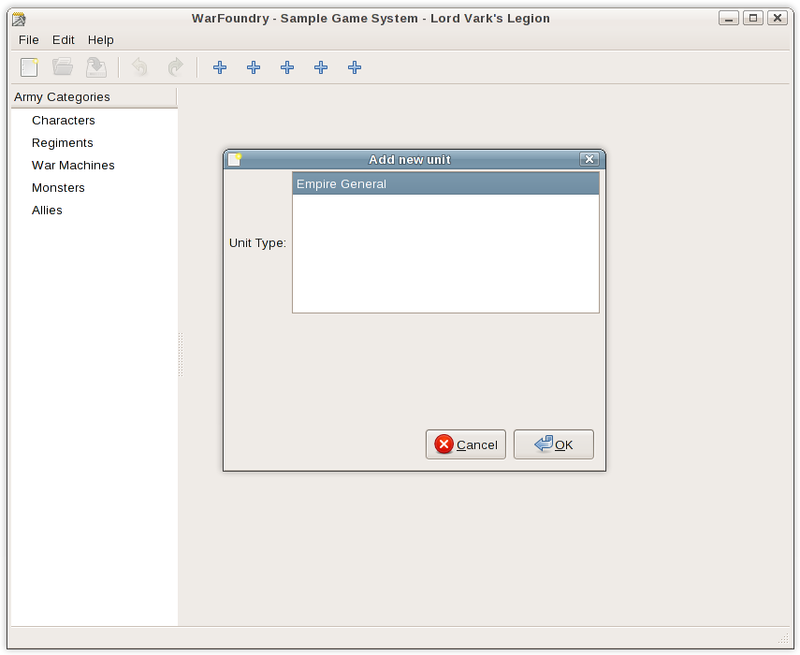 It has since taken more of a back-seat as the development moved to a Linux-based platform. A native Windows version will still be available on release. 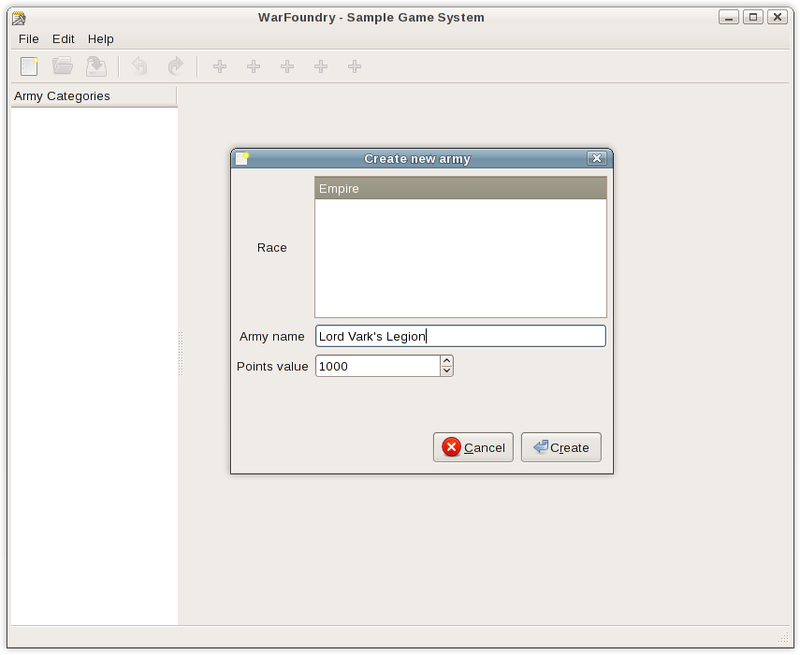 Under ticket 27, WarFoundry v0.2 is adding "requirements". The basic set are numeric limits (an army must have at least X of unit Y, or can have a maximum of X of unit Y if unit Z is taken) but can be used for a lot more requirements. 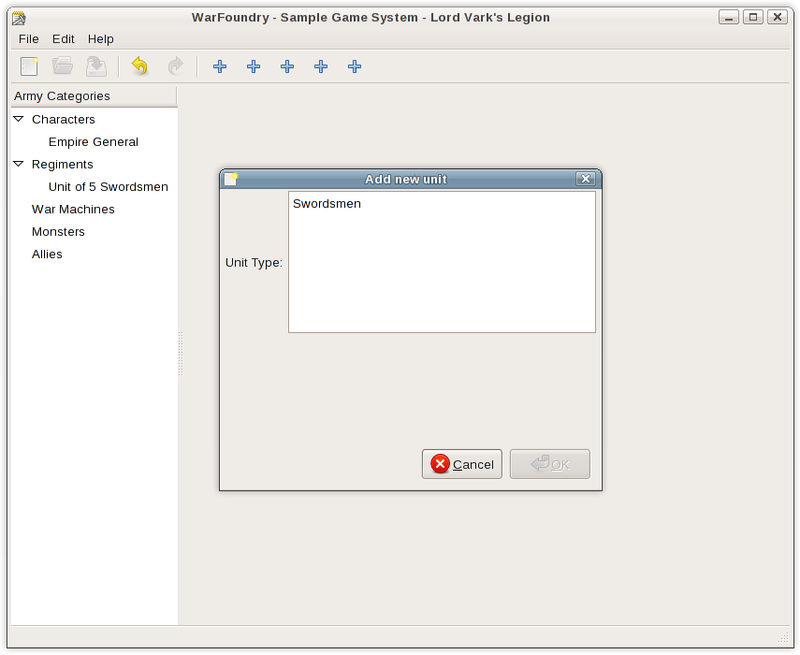 The following screenshots show the initial work to display requirement breaches to the user. 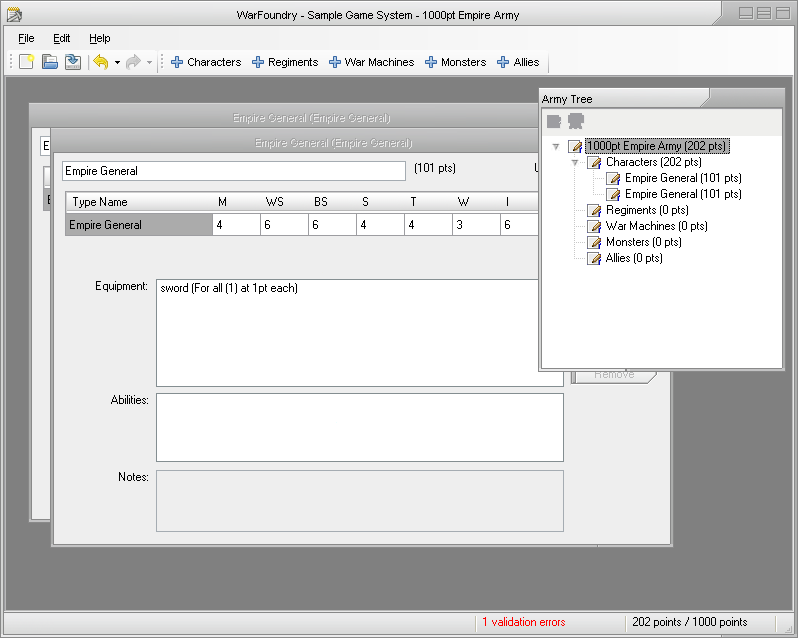 November 2010 - v0.1 "Cry Havoc"
Overall, the UI for the final WarFoundry WinForms v0.1 release ("Cry Havoc") matched those of v0.1RC1, below. The main addition that hasn't been shown before is multiple stat lines and stat line types, which is now in the gallery. 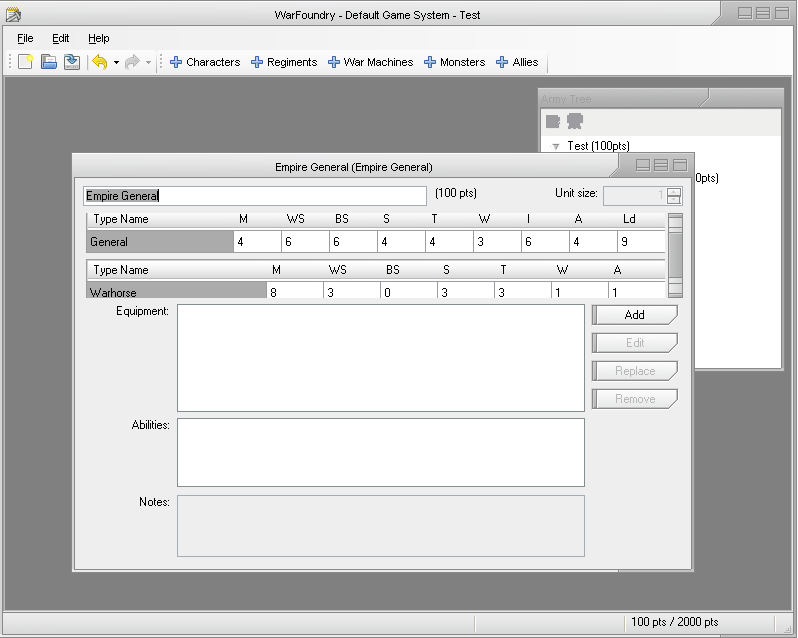 The following screenshots show the GUI as it was at RC1 in July 2010, after its rebuild to use moveable toolbars, newer menus and better stat line boxes. 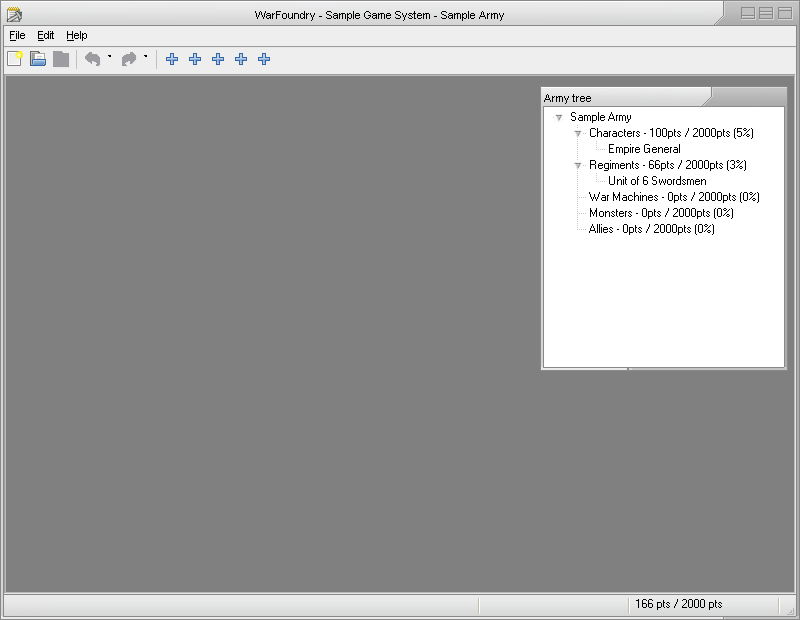 The following screenshots show the GUI as it was in September 2007. 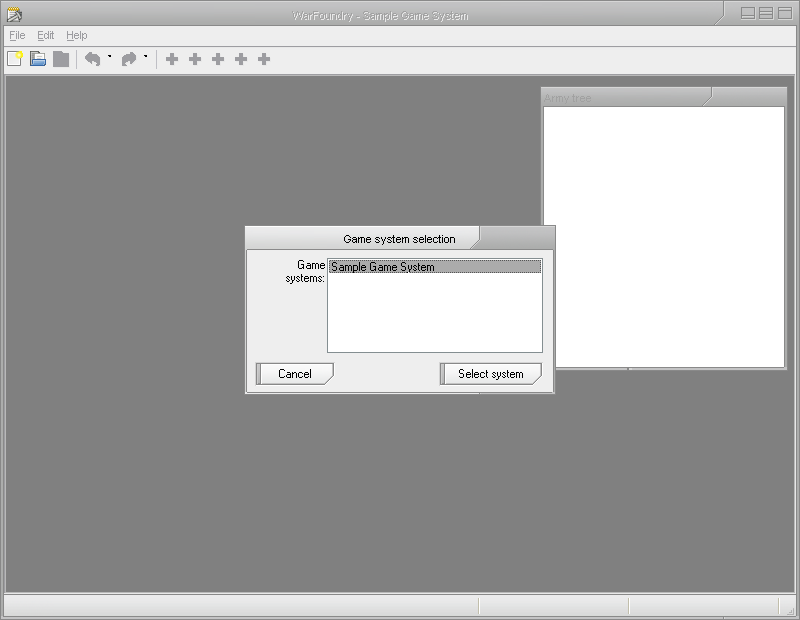 The GTK# interface is an alternate interface that is also being developed. 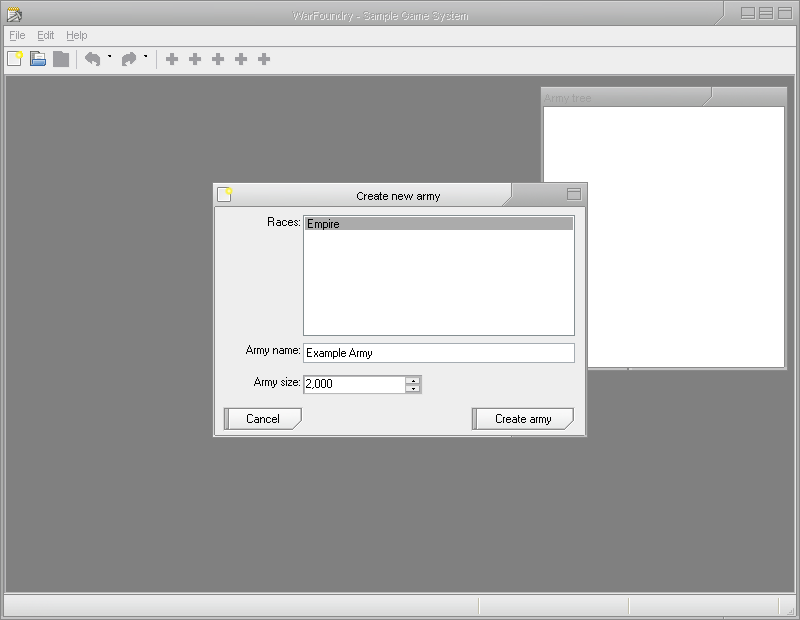 It provides a native Linux (Gnome) interface for the tool that can also be used in Windows. 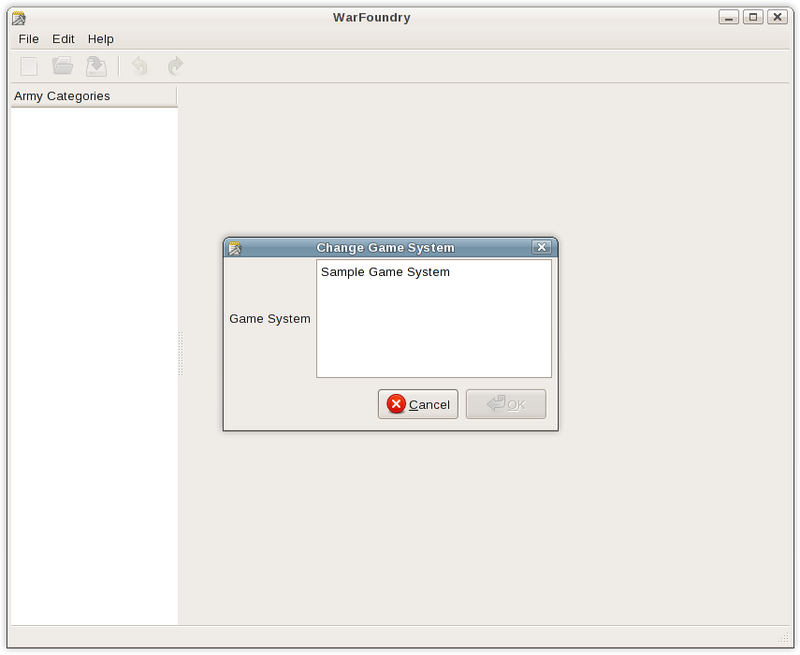 With the release of WarFoundry v0.1 RC 1, the GTK# interface is now at feature parity with the WarFoundry WinForms interface and also includes functionality for translating the UI. 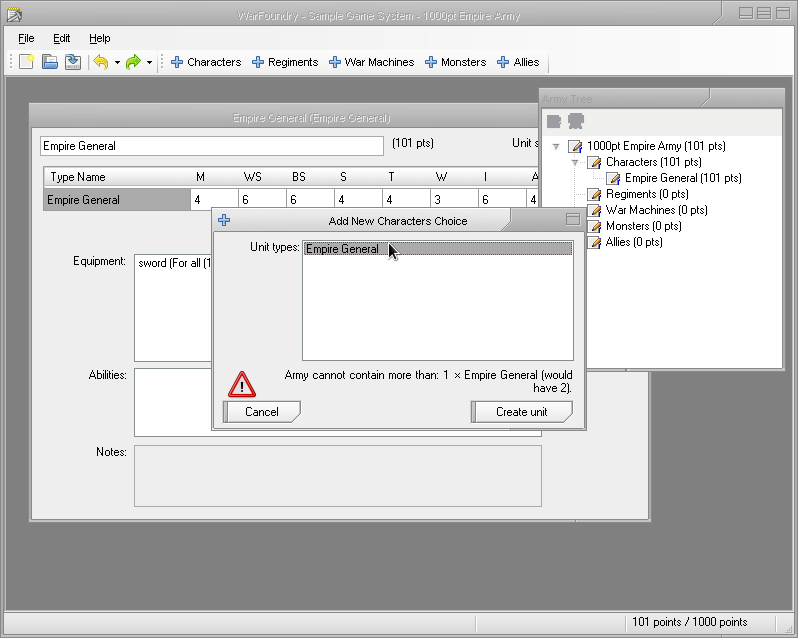 While most of the work has been on back-end code or the WinForms version of the app, work on the GTK# interface has not been forgotten. 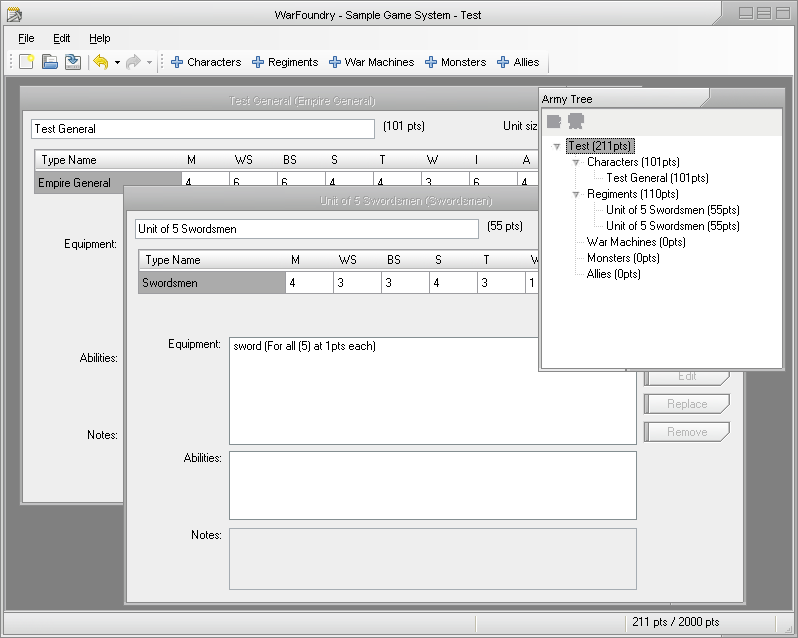 Below is the latest screenshot of WarFoundry's GTK# interface showing initial work on multiple stat line formats and unit detail parity with the WinForms interface. 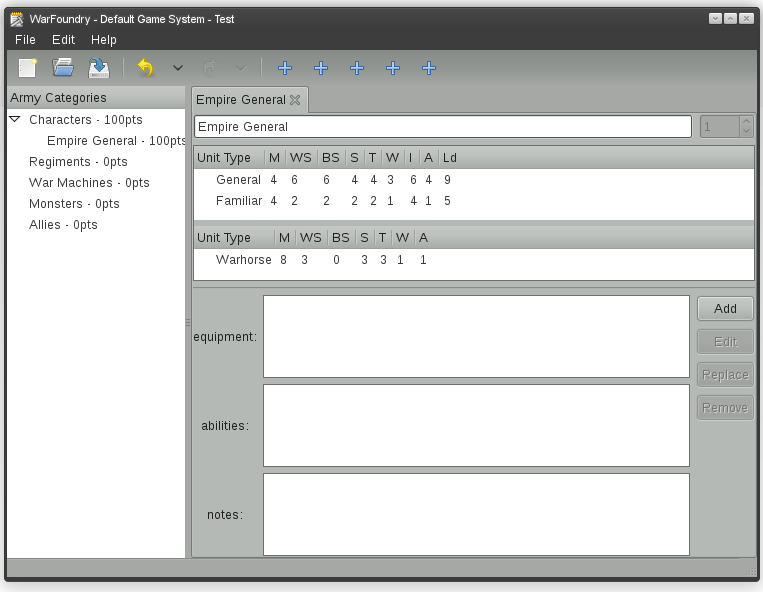 The following screenshot shows the new "Unit tabs" that display the units. Current progress lets you edit the name and unit size. Future work will show and let you add and remove equipment. 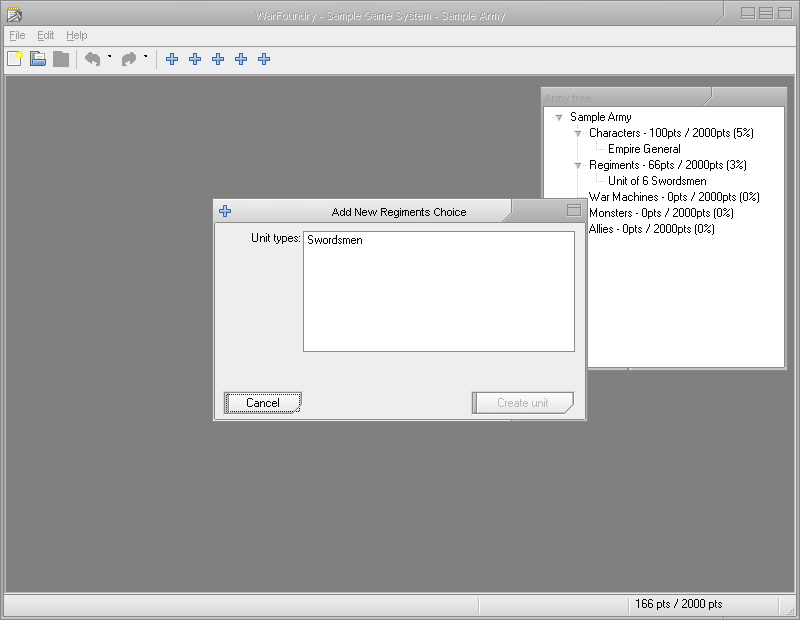 The following screenshots show the GUI as it was in January 2007. 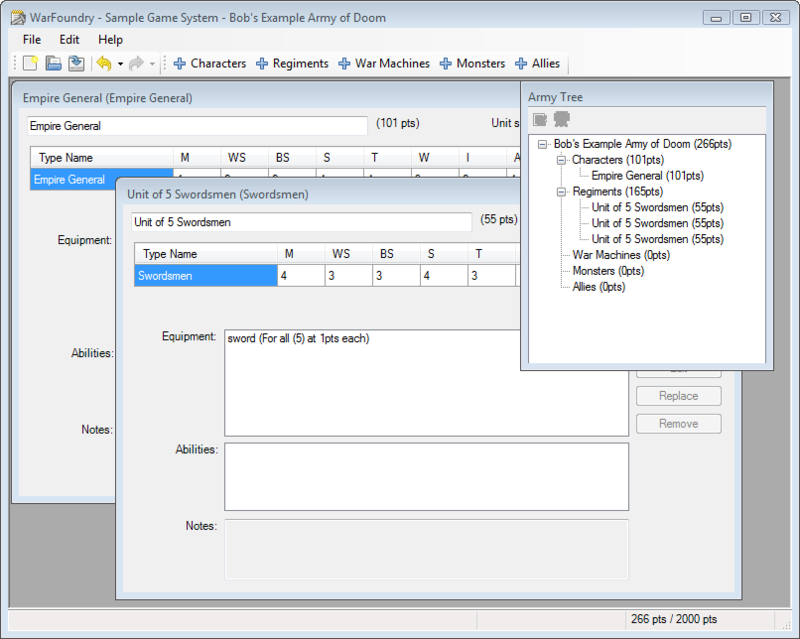 The panel on the right will contain tabs for each unit that has been opened from the army tree on the left. 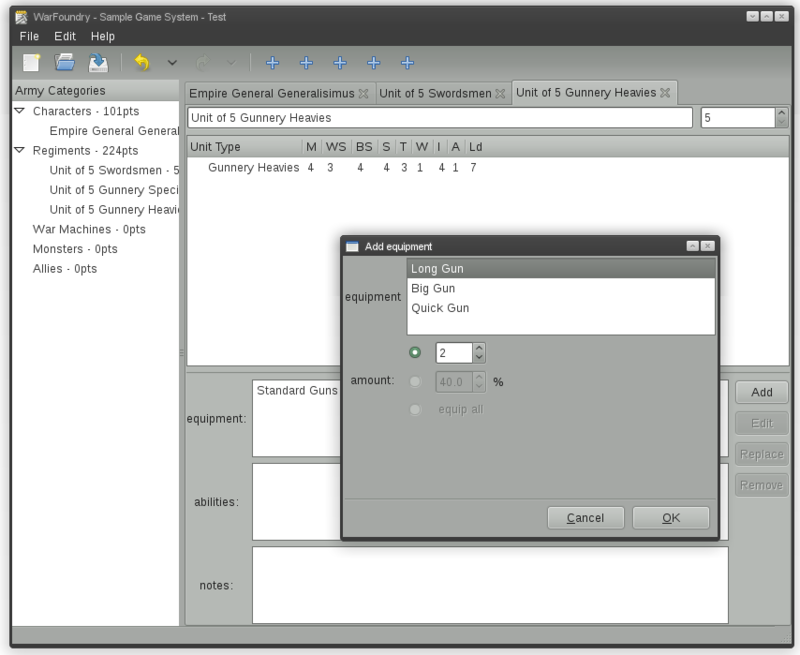 The Qt#/Qyoto interface is another alternate interface that is being developed. 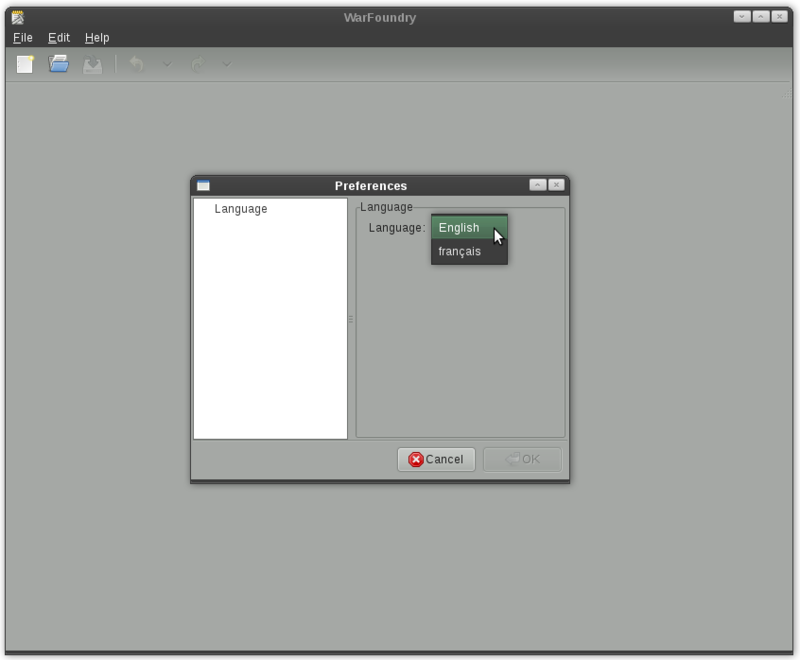 It will provide a native Linux (KDE and Gnome) interface for the tool using Qt4 widgets. It should also theoretically be possible to use it with Windows, but Qyoto builds for Windows are not yet stable. There are currently no screenshots for the Qt# build.